Let Hyatt Place Charleston connect you with the one you in love in one of America's most romantic cities! Simple and uncomplicated romantic surprise are a fun way to keep the romance alive. Relax and let the Hyatt House/Place Charleston - Historic District connect you with the one you in love in one of America's most romantic cities! Kick things off with a bottle of bubbly and chocolates from Charleston's signature Chocolatier. Enjoy a romantic evening on the town with a $100.00 dining credit for one of the award-winning Indigo Road Restaurants (O-Ku, Indaco, The Macintosh, or Mercantile & Mash). Offer valid for reservations made in advance between 02/12/2019 and 02/29/2020 for stays from 02/20/2019 through 02/29/2020 at Hyatt House Charleston/Historic District. Must request offer code at time of booking to qualify for package, which includes: $100 Dining Credit to Indigo Road Restaurant Group; Welcome amenity of sparkling wine and gourmet chocolate per stay . Package inclusions are subject to availability and must coincide with guest’s stay at Hyatt House Charleston/Historic District. All guests must be at least 21 years of age and/or of legal age to consume alcohol in the jurisdiction where the hotel is located to receive alcoholic beverages. Package inclusions provided by third parties are subject to change and such third parties are solely responsible for the provision or performance of the package inclusions they provide. No credits may be used towards alcoholic beverages. A limited number of rooms are allocated to this offer; reservations subject to availability. Offer not valid with groups, conventions, other promotional offers, tour packages or special rate programs. Rate is per room, per night, based on double occupancy and excludes service charges, mandatory resort fees, applicable taxes and other incidental expenses. Additional charges may apply for additional guests or room type upgrades. Guest is responsible for all charges not included in package. No refunds for any unused portion of package. No substitutions nor replacement services or products offered for package inclusions. A portion of the rate for this offer may reflect taxes, service charges, gratuities, and third-party charges for certain included items, and those costs are not eligible for World of Hyatt® points. Walk, talk, and taste your way through Charleston! 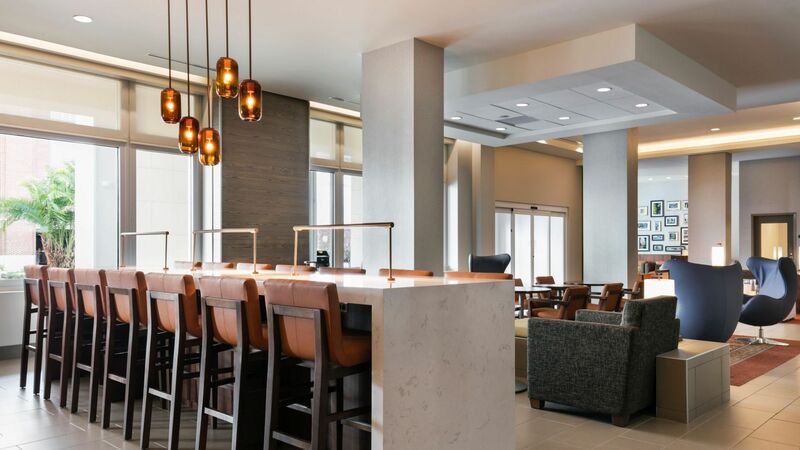 Arrive to the brand-new Hyatt House/Place Charleston - Historic District and receive a welcome amenity featuring signature Charleston treats like benne seed wafers and cheese straws. You will love exploring America's Favorite City on a walking tour of Charleston's history and unique cuisine. Select from one of four tours (Savor the Flavors of Charleston, Dessert Tour, or Savor the Flavors of Upper King). Each 2 1/2 hour tour will immerse you in the history and culture of the Low Country. You will discover how our unique cuisine has evolved over the past 300+ years while sampling delicious specialties from local eateries, markets, bakeries, restaurants, and culinary landmarks. Offer valid for reservations made 72-hours in advance between 02/12/2019 and 12/31/2019 for stays from 02/12/2019 through 12/31/2019 at Hyatt House Charleston/Historic District. Must request offer code at time of booking to qualify for package, which includes: Welcome Amenity & 2 Tour Tickets per stay . Package inclusions are subject to availability and must coincide with guest’s stay at Hyatt House Charleston/Historic District. Package inclusions provided by third parties are subject to change and such third parties are solely responsible for the provision or performance of the package inclusions they provide. No credits may be used towards alcoholic beverages. A limited number of rooms are allocated to this offer; reservations subject to availability. Offer not valid with groups, conventions, other promotional offers, tour packages or special rate programs. Rate is per room, per night, based on double occupancy and excludes service charges, mandatory resort fees, applicable taxes and other incidental expenses. Additional charges may apply for additional guests or room type upgrades. Guest is responsible for all charges not included in package. No refunds for any unused portion of package. No substitutions nor replacement services or products offered for package inclusions. A portion of the rate for this offer may reflect taxes, service charges, gratuities, and third-party charges for certain included items, and those costs are not eligible for World of Hyatt® points.